Another view of the Red Sea. I never tire of looking at the sea, in all its moods, so you can expect many more water, beach and boat photos. The water is usually clear and the colours intense, especially in full summer sun from June to September. Now the water is like a warm bath by 9am, almost too warm. I search for the cooler currents, for the ultimate enjoyment of contrast against the heat of the air and sand. There are many fish in the shallows before you even reach the reef, mostly small or the size of a hand, but some up to 40cm, and they will swim to within a few centimeters of me. If I drift with them and don’t splash around, I can watch them feeding and chasing each other, until they swim off into the darker blue depths. 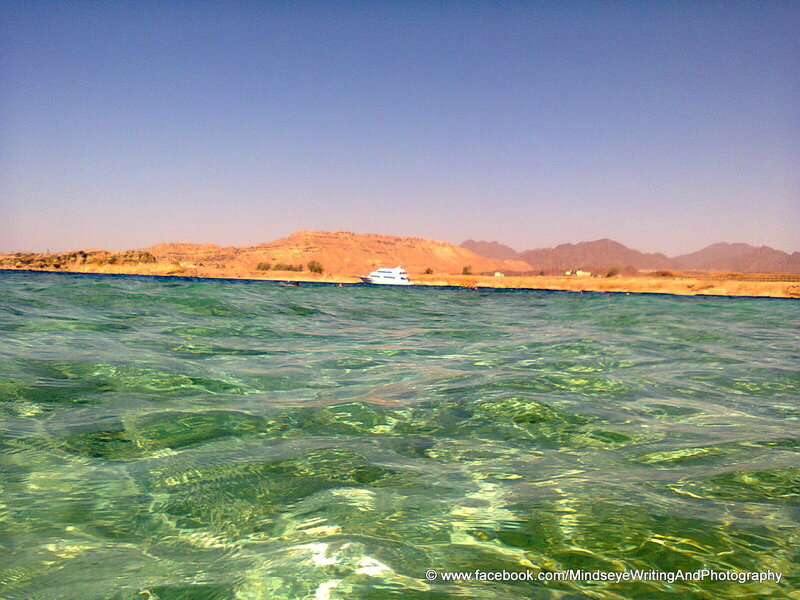 This entry was posted in Red Sea, Sharm el Sheikh. Bookmark the permalink.